Based in Oakland, California, Rubidium (Rachel Bisagni) is a burgeoning DJ and producer with an ear for the eclectic side of techno. Inspired by over 20 years of classical dance training, plus 15 years on crowded dance floors, she strives to bring a signature sense of movement to her sets and productions. She’s shared the stage with notable techno artists including Cio D’Or and Black Asteroid, and also released her first track on Vancouver’s Subspec label in 2013. We are glad to get a chance to find out more about her and have her do a guest mix. Rachel also supports the From 0-1 label as their art director, pushing pixels and podcasts since the start of the label in 2008. 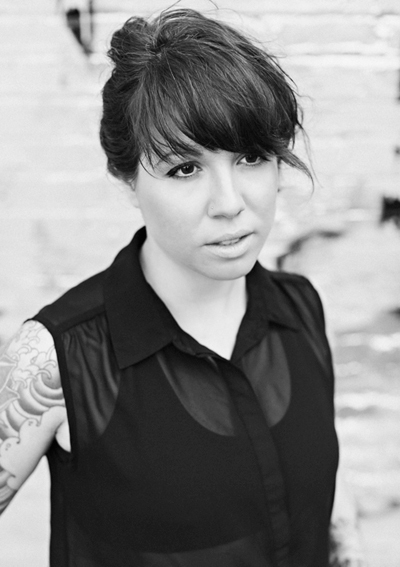 Check out the interview and her fantastic dj mix below! How did you get into DJing and producing? What is your musical background? I got involved with going out to raves around ’98-’99, while I was in college in upstate New York. However, I got into actual DJing and producing via an idea for a dance project I had in about 2007. I had this idea to create sequenced tracks via sensors and movement from dance choreography. I had no idea what I was doing and had this really grandiose notion that this was something I could achieve easily. After I started doing research into the technology available, I realized a) This was a giant undertaking and the technology was hardly user friendly and b) I should probably learn music production first. I really had very little prior musical background. I started to learn, and the more I learned the more I realized this was a complete investment and commitment and I had a lot of catching up to do. I stopped taking dance classes and I learned Ableton and how to DJ with it, took classes and kept learning tools. I feel like I just want to keep challenging myself and see what I can do. I dig lots of different types of Techno for DJing, and I also like some noisy, experimental stuff that you will hear in this mix. As far as production goes, I think I’m still finding it. I am experimenting a lot in the studio and trying to get things done faster and get a better flow going. Your biography mentioned that you have been trained as a dancer for many years. How does your affinity for dancing inform your track selection and music production? Both sound and movement are mediums for expression, and I think dancing has made me observational enough to find the patterns and themes in sound creation. If I hear a track I like or write a bassline that hits a good spot, it appeals to the grounding part of me that also loves to move. It’s not like I would always necessarily bust out jazz hands for every sound I design or track I play, but it hits a spot that ‘feels’ right and expresses an emotion purely. What’s your setup like for making music? What is your process from taking a track from start to finish? I recently revamped my setup to include more hardware. I still sequence in Ableton, but I wanted to narrow my tools to focus more. Starting to work in Ableton with a billion plugins was overwhelming, and understanding the systems in a more rigid, physical form is good for me. So far I’m digging it a lot, being able to jam out a bit more organically. Finishing tracks is tough for me, so I’m trying to work on the process more. The tracks I have finished took me way too long to create. Tell us about your work as art director for the techno label From 0-1. What is aesthetic you are going for and how do you achieve that? The aesthetic for From 0-1 is driven by Justin and Brian, but I get to influence them where I can as a designer. A good designer is a skilled interpreter, not necessarily an artist. Perhaps the art is really in the interpretation of information into good design. I would say Techno has defined itself through bold, clean graphics, hard edges, typography and lots of black; the style recalls the visual themes of Bauhaus, punk zines, geometry and more. I try to keep it fresh and stay within the loose brand guidelines I have created in my head, so the From 0-1 brand is consistent. You relocated from Seattle to Oakland a few years ago. What can you say about the differences between the music scene in these 2 cities? The Bay Area has more artists come through than Seattle, and there are more crews doing things here, because the population is larger. 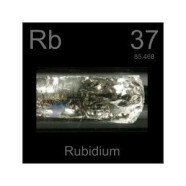 What’s on the horizon for Rubidium going forward? I will be doing a From 0-1 podcast in January and working in the studio as much as I can.